Contemporary home births are rare and quite invisible phenomena, and quite unexplored as an empirical field. From interviewing women and couples who experienced a planned home birth, this article aims to give an initial sociological portrait of this phenomenon in Portugal. It is shown to be not a return of the traditional or a search for a mystical experience, but rather a physical and concrete happening, strongly shaped by scientific and medical knowledge, within a search for identity coherence. Several social and medical risk perceptions emerged, as well as a reflexive consumption of medical technologies framed by these same perceptions. Despite the fact that home birth detracts the relevance of medicine during pregnancy and birth, it is not possible to frame it as a phenomenon of demedicalisation. Doutorando em sociologia. Bolseiro de doutoramento FCT no CIES-IUL. 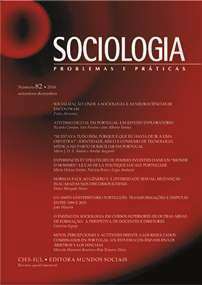 Doutorada em sociologia. Professora Auxiliar na UBI.